Prasanta Chandra Mahalanobis was an eminent statistician, best known for founding the Indian Statistical Institute (ISI) in 1932. 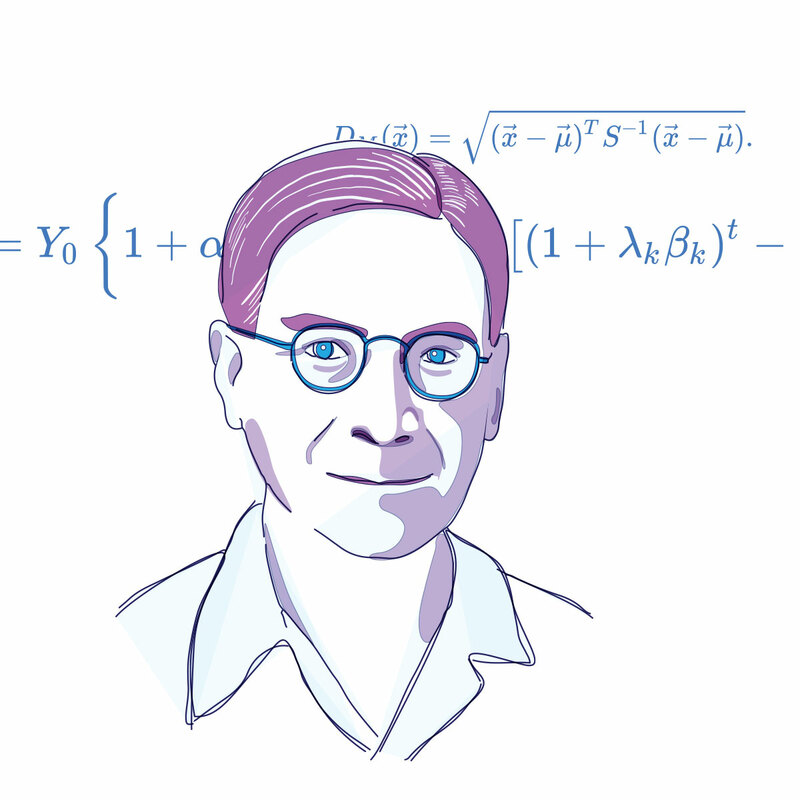 A physicist by training, he got interested in statistics when he came across Biometrika, a reputed peer reviewed journal of statistics during his time. Fascinated, he bought the complete set of volumes of the journal. He soon found that statistics could be used in diverse fields like meteorology and anthropology, and it became a turning point of his scientific career. Dr. Mahalanobis made several contributions to the field of statistics, including the ‘Mahalanobis distance’, a statistical measure. He was also a pioneer in the field of anthropometry, the study of human measurements, in India and helped design large scale sample surveys and sampling methods. He also developed the Feldman-Mahalanobis model, a Neo-Marxian model of economic development, which was employed in the Second Five Year Plan of India, which promoted rapid industrialization of the country. Mahalanobis was also one of the members of the first Planning Commission of India. He was also conferred with several awards including the Padma Vibhushan. The study of modern statistical methods is in its infancy in our country, and we do not expect to be able to achieve immediate results. We shall be satisfied if we can help by our humble efforts to lay the foundations for future work. Founder of the Indian Statistical Institute & Introduced a statistical measure, popularly called as Mahalonobis distance.